Police Charged with Homicide in Two States | Hupy and Abraham, S.C.
Law enforcement officials in South Carolina and Oklahoma have been charged with homicide after fatally shooting unarmed black men earlier this month. Both incidents were caught on camera. In Tulsa, Oklahoma, 44-year-old Eric Harris was shot and killed by 73-year-old Reserve Deputy Robert Bates, who said he meant to fire his Taser, not his gun. Before the incident escalated, Harris was caught illegally selling a weapon to an undercover officer in a sting operation. When additional officers began to surround him, Harris fled the scene but was eventually chased down. When Harris was pinned to the ground, Bates can be heard on camera screaming, “Taser! Taser!” But instead of using his Taser, Bates grabbed his gun and shot the unarmed Harris, who later died. After being shot, Harris frantically screamed about having trouble breathing, but the officers were less than sympathetic. As Harris lay dying, the officers shouted profanities and continued to restrain him instead of rendering aid. Some are questioning whether Bates was qualified to participate in such an operation, much less use a weapon. Since it was a sting operation, there were numerous full-time officers at the scene. Any one of them would’ve been better suited to tase the suspect. Bates’ mistake would be more understandable if he was forced to make a split second decision. However, the suspect was pinned to the ground, unarmed and outnumbered so Bates had plenty of time to gather himself and think twice before firing. Bates has never conducted a real arrest, and worse yet, he may not have ever received the proper training. 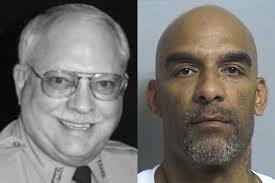 Reports are circulating that Bates’ training records were forged by employees of the Tulsa sheriff’s office. Bates has been charged with manslaughter and could serve four years in prison if convicted. In North Charleston, South Carolina, 33-year-old officer Michael Slager was recorded by a bystander as he shot and killed 50-year-old Walter Scott. Slager said he feared for his life because Scott took his Taser during a traffic stop. Still, it’s hard to imagine how fearful Slager could truly have been while Scott ran in the opposite direction. Slager fired eight shots at Scott, hitting him five times before he died at the scene. Another officer at the scene may face charges for not doing enough to help the victim. The police report says the officers performed CPR, but there’s no video of that. Once the video was released, Slager’s legal counsel immediately dropped him. Slager has been charged with murder and could serve life in prison if convicted. Even before killing Scott, Slager had a history of questionable judgement. There are two pending lawsuits that accuse Slager of tasing unarmed black men for no reason. In 2014, Slager was caught on camera tasing 35-year-old Julius Garnett Wilson, who was pinned to the ground with his hands above his head during a traffic stop. This incident was caught on camera. 33-year-old Mario Givens filed an excessive force complaint against Slager in 2013 after being tased multiple times in his home. Givens claims he had his hands over his head and he wasn’t the suspect police came to see. The incident wasn’t recorded, the complaint was dismissed and Slager was quietly exonerated. In addition to the charges being pressed against Bates and Slager, officers in Albuquerque, New Mexico and Charlotte, North Carolina have been charged after killing unarmed black men. Some believe these charges are a direct response to the nationwide protests about police use of force. Many were enraged when no charges were pressed after high-profile incidents in Ferguson, New York City and Cleveland. Hupy and Abraham obtained a $1.6 million settlement for the family of Daniel Bell, who was killed by a police officer in Milwaukee.